Beat the Cold at Canada’s Cold War Museum! 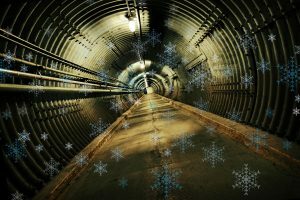 Try your hand at being a secret agent as you complete a scavenger hunt, search for and solve clues, and determine the identity of a rogue agent in this remarkable 100,000 square foot underground bunker. Once your mission is complete, the entire family is welcome to enjoy hot chocolate and coding activities in the cafeteria. Calling all young artists! The bunker is having a colouring contest and we want to see your colouring skills! Colour and create your own winter scene on our premade colour page! Contest runs from February 1—18 with the winner announced February 22!